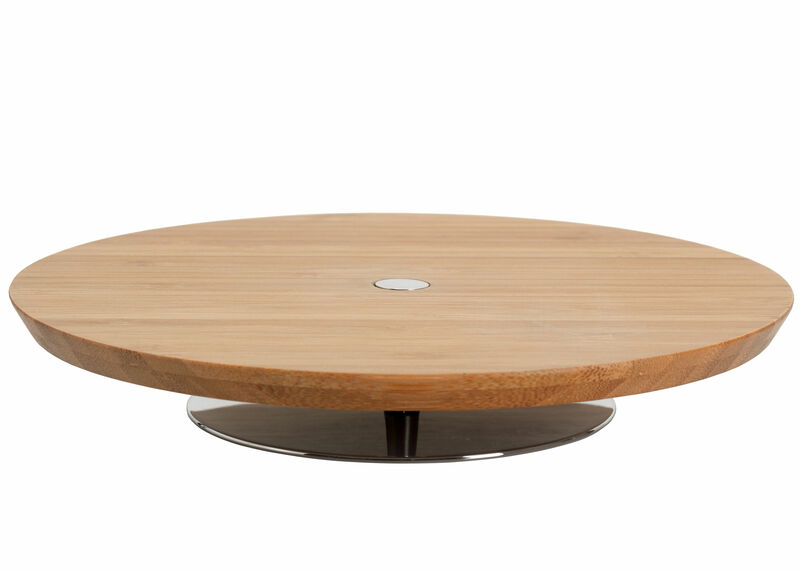 Cheese board in wood with stand in 18/10 stainless steel. 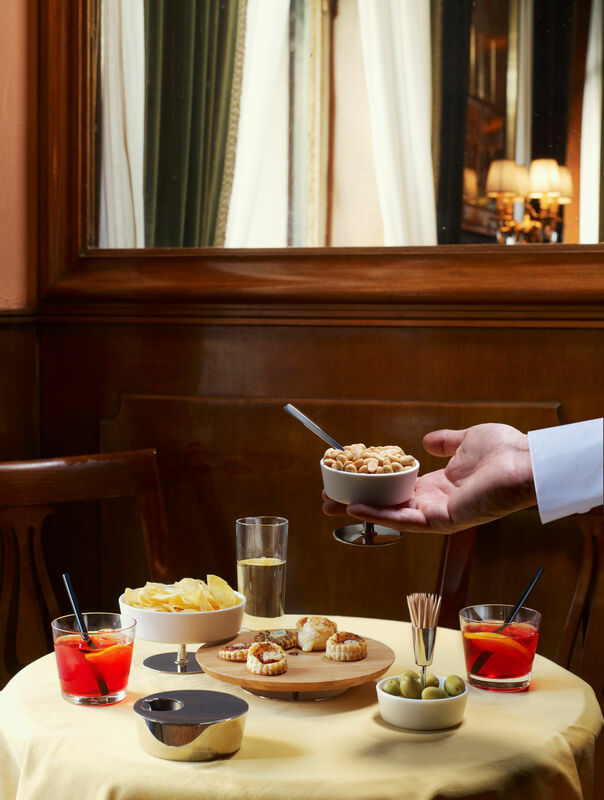 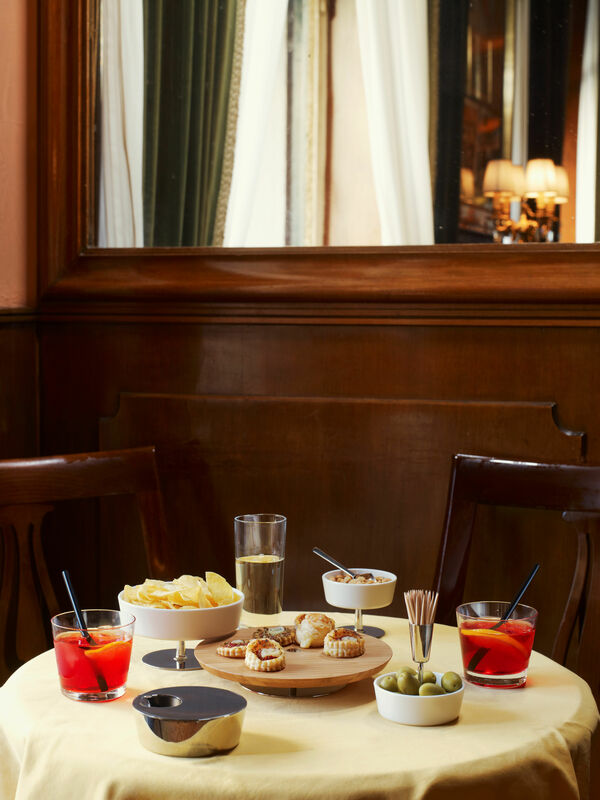 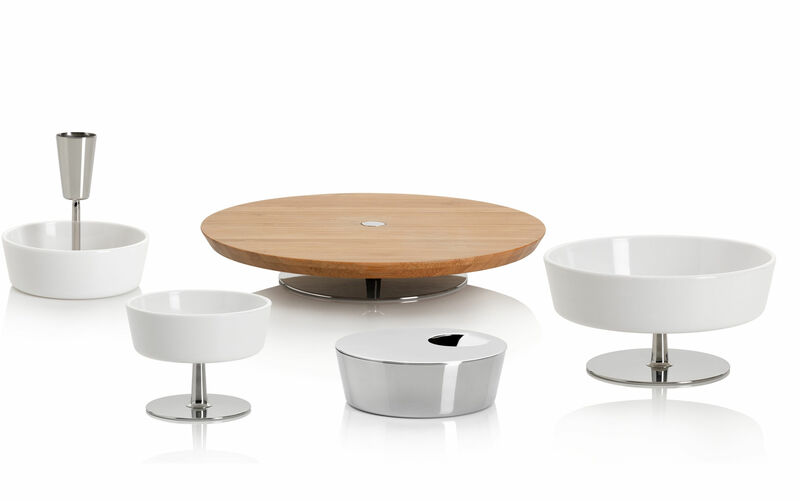 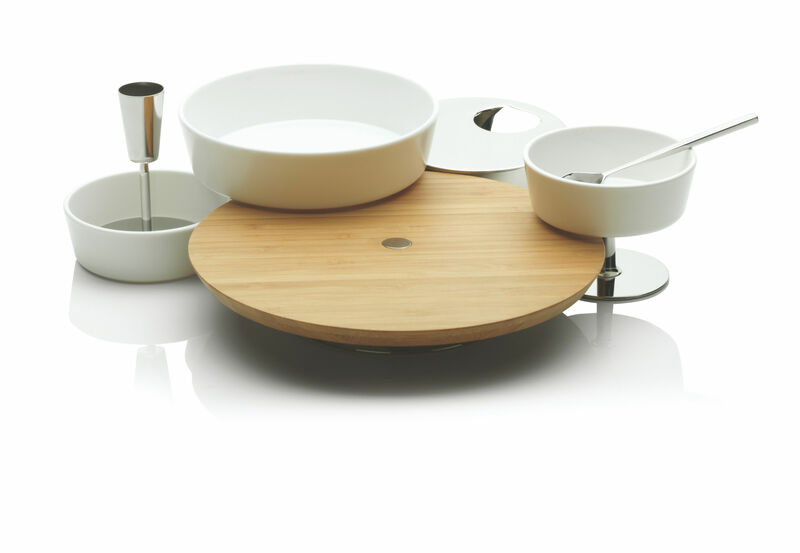 It is part of the a small range of objects for the aperitif ritual, designed by Giulio Iacchetti with his usual clear-cut, discrete style and conceived for both public and private use. 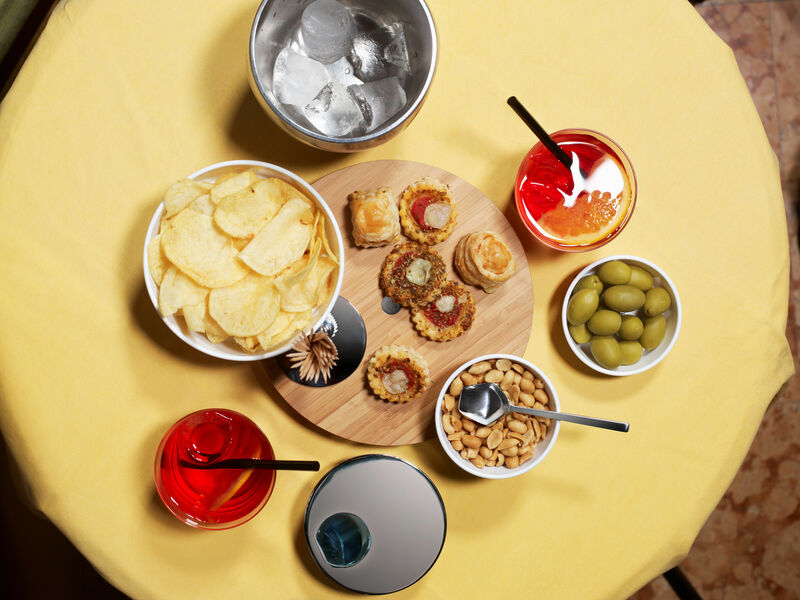 The set is perfect for home use, or on the table of a bar, and reveals the designer's renewed interest in serving methods.